Tips: 1.Price is for 1 piece of curtain. 2.Size:W--means width, L--means Length. 3. All items are for real shooting. However, different monitors may cause colors to vary slightly. Features: Brand New and high quality. 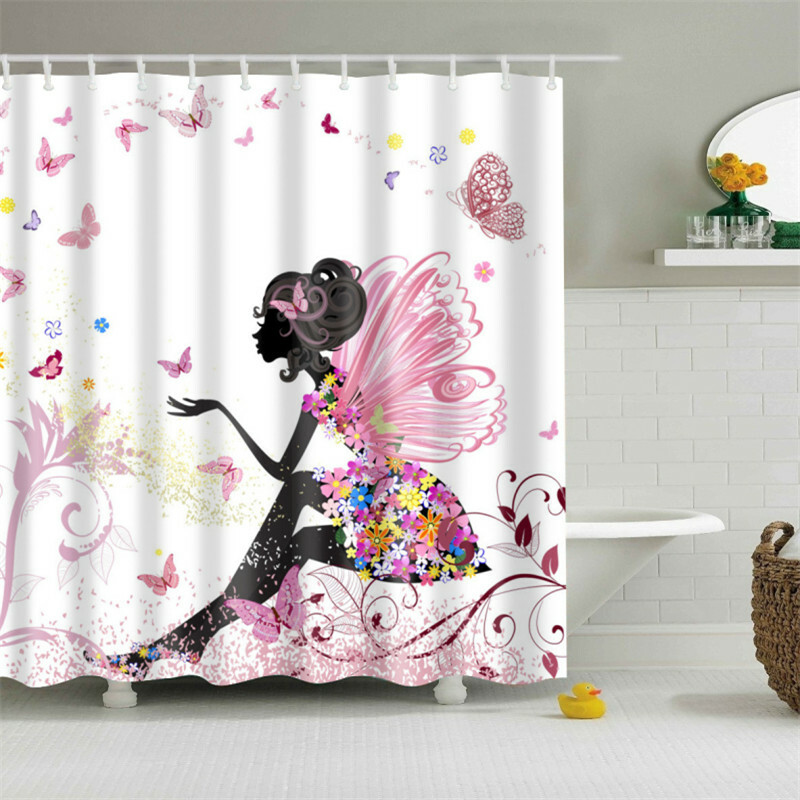 Made of polyester material,waterproof, anti-mildew and safe. Ideally suits most standard sized bathrooms. There are 12 hooks with size of 5.5*4cm. Buckle compact, it can be pulled against the wall position. Good isolation,can stop splashing water and offer an independent bath space for you. Clear stripes adds elegance and fashion elements for your bathroom. Meanwhile give a nice scenery to relieve fatigue after all-day works when you open the bathroom the door. Attention:Please low temperature washing and ironing, do not bleach and dry clean. Enjoy your shopping time. 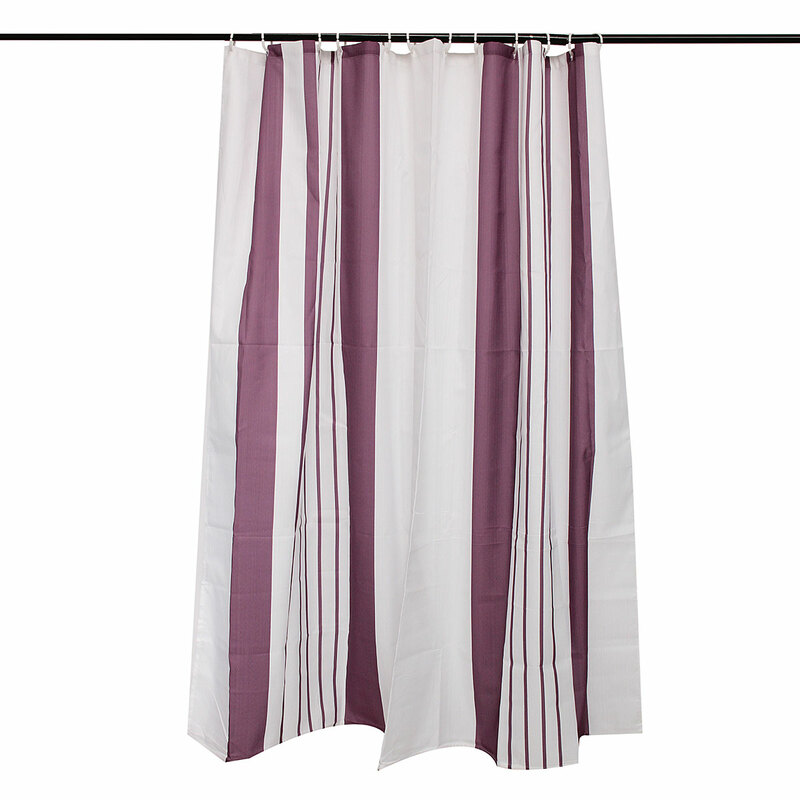 Specification: Material:Polyester Color: Purple Size:(L)X(W)180X180cm/70.87"X70.87"(appr.) Packing Includes: 1 x Shower Curtain 12 x HooksPlease Note: 1. Please allow 1-3cm error due tomanual measurement. 2. Please understand that colors mayexist chromatic aberration.